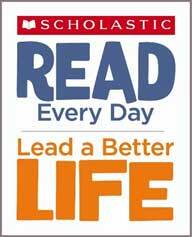 Approximately every six to eight weeks, Scholastic Reading Club flyers are sent home. The flyers are generally not sent home when near a scheduled book fair. The Scholastic Reading Club program benefits your scholar, the teachers’ classroom libraries and the Liz Warner Library. Order forms may be returned with a check may payable to Scholastic. Or, if you prefer doing business online, you may use your debit or credit card. All Scholastic Reading Club books are shipped directly to the Academy, and your scholar’s books are either hand-delivered to his or her classroom or picked up in the library.